With the actual implementation in Hungary appearing to deviate from the original objectives and conditions of the aid scheme, as discussed in part 1 of this blog, a possible monitoring exercise by the Commission of the Hungarian tax benefit scheme seems appropriate. The question remains, however, whether the Commission follows up on the intent of monitoring, or whether the intent should be regarded as empty words. This second part of the blog will outline the rules on reviewing and monitoring (existing) aid, both substantively and procedurally. It will determine, inter alia, whether the State aid rules impose an obligation upon the Commission to act and, if so, in what way. In order to correctly decipher the potential consequences of Hungary’s behavior under EU State aid law, it is necessary to make a distinction between the part of the aid scheme declared compatible in the tax benefit scheme in the Hungarian sport sector decision, i.e. the donations for the sport infrastructures used by the professional sport organizations, and the donations used to cover personnel costs. Due to the fact that these two types of donation destinations were allowed based on two different exception procedures (the general exception found in Article 107(3)c) TFEU for the aid to sport infrastructure, and the General Block Exemption Regulation or the de minimis aid Regulation for the aid to cover personnel costs), the rules on reviewing and monitoring aid differ slightly. This blog will only focus on the review and monitoring rules of the tax benefit scheme in the Hungarian sport sector decision. Reviewing and monitoring State aid schemes – a Commission obligation? It is important to note that in accordance with Article 288 TFEU, fifth sentence, recommendations have no binding force. Therefore, the proposed measure itself is not binding for the Member State. Only where the Member State accepts the proposed measure, shall it be bound by its acceptance to implement the appropriate measure. However, if the Member State refuses to accept and implement the recommendations, the Commission could launch a formal investigation in accordance with Article 108(2). Article 108 (1) TFEU and Article 21 of the Procedural Regulation also require the Member States to cooperate with the Commission for the purpose of reviewing aid schemes. This cooperation is further specified in Article 26 of the Procedural Regulation, which obliges Member States to submit annual reports on existing aid schemes to the Commission. The reports allow the Commission to monitor the compliance with the positive decision by the Member State. As was already discussed in part 1 of this blog, Hungary too is required to submit a yearly monitoring report containing information on the total aid amount allocated, the sport infrastructure projects funded, their beneficiaries, etc. A failure by Hungary to submit an annual report, would allow the Commission to propose an appropriate measure as listed above. Whether Hungary actually submits annual reports to the Commission is currently unclear. The Commission has repeatedly expressed its ambition for more and better monitoring of State aid schemes. This ambition follows from its primary objective to increase Commission enforcement focus on cases with the biggest impact on the internal market, as can be read from, inter alia, the State Aid Modernisation (SAM) Communication of 2012. Better targeted State aid control means an “increased responsibility of Member States in designing and implementing aid measures” for cases of a more local nature and with little effect on trade, as well as “enhanced ex post monitoring by the Commission to ensure adequate compliance” with the State aid rules. In 2006, the Commission introduced a regular, ex post, monitoring exercise of existing aid schemes. The monitoring exercise gradually increased from 20 different schemes in 2006, to 75 schemes in 2014, covering all Member States, all main types of aid approved as well as block-exempted schemes. The monitoring exercises conducted in 2014 led to the openings of four formal investigations. The willingness to increase monitoring seems logical when taking into account EU case law, which imposes, in practice, an obligation for the Commission to review previously approved aid schemes. Yet, only a very small amount of existing aid schemes is monitored, nor is it realistically possible to do monitor all the schemes. As can be read in the recently published DG Competition Management Plan 2016, over the last 10 years the Commission declared over 3000 aid schemes or measures compatible with EU law after a the preliminary phase (“decisions not to raise objections”) alone. This amount does not take into account positive decisions or block exempted aid schemes and measures, all of which should, strictly speaking, be monitored. Exact numbers on the amount of existing aid schemes currently running throughout the EU are not available, but one could safely say that the overwhelming majority of existing aid schemes are not monitored. Unless the State aid department of the Commission dramatically increases its resources, both in terms of finances and staff, monitoring all existing State aid schemes will remain utopic. The Hungarian tax benefit scheme is not functioning in accordance with its original objectives: many of the sport infrastructure projects funded with public money do not seem strictly necessary and selected professional football clubs benefitted disproportionately. Under these circumstances, a monitoring exercise conducted by the Commission could be needed. If a monitoring exercise confirms disproportionate spreading of subsidies, a consequent set of appropriate measures taken by Hungary could bring the scheme in line with its original objectives. However, given that the majority of schemes are not monitored, there is a very big chance that the Hungarian tax benefit scheme is not one of the “lucky ones” selected. It is also unclear whether the Commission’s answer to the Parliamentary question of 18 May in any way increases that probability. Another way to force the Commission to look into the aid scheme, not yet discussed above, is through a State aid complaint procedure. Although the tax benefit scheme was already approved by the Commission in 2011, this should not rule out the possibility of an interested party submitting a complaint to inform the Commission of any alleged unlawful aid. Pursuant to Article 12(1), the Commission is obliged to examine without undue delay a complaint by an interested party, thereby automatically triggering the preliminary State aid investigation of Article 108(3) TFEU. Although ‘unlawful aid’ refers to new aid put into effect in contravention of Article 108(3) TFEU, and not existing aid, such as aid schemes authorized by the Commission, ‘new aid’ also refers to existing aid that has been altered by the Member State. In accordance with the Commission’s State Aid Manual of Procedures, for an aid scheme to be altered, the complainant would need to demonstrate that a change has taken place that affects “the evaluation of the compatibility of the aid with the common market”. In addition to this, the complaint would need to include, inter alia, information on the (functioning of) the scheme, the amount of aid granted, and why the scheme is no longer compatible under Article 107(3). A further highly important criterion is for the interested party to demonstrate to the Commission that the complainant is directly affected in its “competitive position” by the aid scheme. This criterion empowers the Commission to separate formal complaints from the complaints that are “not motivated by genuine competition concerns”, thereby reducing considerably its workload of having to launch a (preliminary) investigation based on every single complaint it receives. Complaints submitted by complainants, who the Commission does not consider to be interested parties, will be regarded as “general market information” and do not oblige the Commission to investigate. 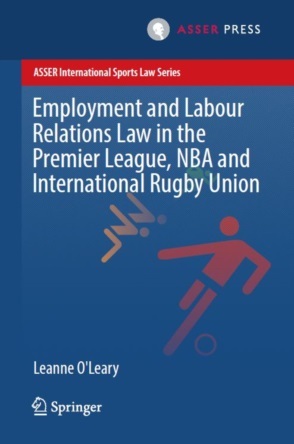 The “interested party” criterion was only added after the reform of the Procedural Regulation in 2013, and has affected the professional sport sector considerably. The two years prior saw great activity by the Commission in the sector, including the opening of four formal investigations into alleged State aid to professional football clubs like Real Madrid and Valencia CF. The investigations into alleged aid granted to Real Madrid and Valencia CF were not launched after the submission of a complaint by an interested party, but after “the attention of the Commission was drawn by press reports and information sent by citizens in 2012-2013”. The end of formal investigations into alleged aid granted to professional sport clubs coincided with the introduction of the “interested party” criterion: since citizens are not considered interested parties, the Commission does not have an obligation anymore to investigate complaints, or any form of information, submitted by them. At this moment, only complaints submitted by interested parties, i.e. a party directly affected in its competitive position, have the potential of triggering fresh State aid investigations in the professional sport sector. Which persons or undertakings fulfill the “interested party” criterion? The answer to this question requires a case by case analysis and depends on the aid measure or scheme chosen by the public authorities. Nonetheless, where aid is granted to a professional sport club, the clearest example of an interested party would be another professional sport club. Getting professional sport clubs to submit State aid complaints is, however, easier said than done. Contrary to other economic sectors where competitors would complain if they feel that they are directly affected in their competitive position, no professional sport club has ever submitted a State aid complaint, nor is it likely to happen anytime soon. As is confirmed by Dutch professional football club FC Groningen’s director Hans Nijland in an article published on 18 May by the Dutch magazine De Groene Amterdammer , “if (another football club) manages to sign a deal with its municipality, I will not complain. In fact, I would say congratulations, well done”. The same mentality probably prevails in Hungary, making it very unlikely that a Hungarian professional football club, or any other professional sport club, decides to submit a complaint alleging unlawful aid to, say, Puskás Akadémia FC due to the disproportionate distribution of subsidies under the tax benefit scheme. The advantages of EU State aid control include efficient government spending in the economy as well as better accountability and transparency of aid measures. Nonetheless, with the chances of the Commission monitoring existing aid in professional sport, such as the Hungarian tax benefit scheme, being very slim, and given the unlikeliness of a submission of a complaint by a competing professional sport club, how useful are the State aid rules to achieve better accountability and transparency in (professional) sport? Local governments will continue spending large amounts of public money on projects that distort competition and are contrary to the general public interest, without a meaningful risk of being called back. Furthermore, as long as the Commission does not prioritize State aid enforcement to the professional sport sector, similar to how it enforces the State aid rules regarding fiscal aid to multinationals, it is also unlikely that it will investigate ex officio. From the “efficient use of Commission resources” viewpoint, it is, in a way, understandable that the Commission has decided not to prioritize State aid to professional sport. They are, after all, not the most distortive State aid cases. However, this lack of prioritization is not being compensated with the submission of complaints by interested parties, meaning that public authorities have less to fear from State aid control in the professional sport factor, as compared to other market sectors. To prevent a complete carte blanche for the public authorities, I would argue that the Commission should impose upon itself stricter conditions as regards monitoring State aid measures and scheme to the benefit of professional sport clubs. The current monitoring system, where the chance of being monitored is smaller than not being monitored, is inefficient in a sector where competitors do not serve as watchdogs. Only by radically increasing the monitoring chance in the professional sport sector can better accountability and transparency of aid measures be achieved. Case 173/73, Italy v Commission,  ECLI:EU:C:1974:71, para 24. Opinion of Advocate General Lenz in Case C-44/93, Namur-Les Assurances du Crédit SA v Office Nationale du Ducroire ,  ECLI:EU:C:1994:262, para 86. Procedural Regulation 2015/1589, Article 22. Contrary to the decision options of formal investigations, a decision to order a recovery of the aid from the beneficiary or beneficiaries, as listed in Procedural Regulation, Articles 9(5) and 16, is not an option for the “review procedure”. The Enterprise Capital Funds (ECF) decision is a good example of a formal investigation based on ex post review and monitoring. Following a “selected” monitoring exercise in 2011, it was discovered that the UK had failed to take the appropriate measures to bring an aid scheme in line with the Commission Guidelines on Risk Capital , even though it had promised to do so. This led to the Commission opening a formal investigation in November 2011. Pursuant to Procedural Regulation, Article 26(1), the obligation to submit annual reports applies to decisions “to which no specific reporting obligations have been imposed in a conditional decision”. Under a conditional decision, the Commission attaches to a decision conditions subject to which aid may be considered compatible with the internal market. The tax benefit scheme in the Hungarian sport sector decision has no specific conditions attached to it, apart from the usual obligation for the Member State concerned to submit an annual report to the Commission. Commission Decision of 9 November 2011, SA.31722 – Hungary - Supporting the Hungarian sport sector via tax benefit scheme , para 57. Procedural Regulation 2015/1589, Article 26(2). EU State Aid Modernisation Communication of 8 May 2012 , para 19. Commission Staff Working Document of 4 June 2015, “ Report from the Commission to the European Parliament, the Council, the European Economic and Social Committee and the Committee of the Regions on Competition Policy 2014 ”, page 10. Ibid. One of the investigations involved the Enterprise Capital Funds scheme – Supra n5. DG Competition document of 18 March 2016 REF. Ares(2016)1370536 “ Management Plan 2016 ”, page 15. Procedural Regulation 2015/1589, Article 24(2). Internal DG Competition working documents on procedures for the application of Articles 107 and 108 TFEU of 10 July 2013, State Aid Manual of Procedures , Section 5, para 1.2.1. A complaint that does not comply with the compulsory complaint form, or if the complainant does not provide sufficient grounds to show the existence of unlawful aid can be withdrawn by the Commission. See Procedural Regulation 2015/1589, Article 24(2). Form for the Submission of Complaints Concerning Alleged Unlawful State Aid or Misuse of Aid , point 3. Draft Report by the European Parliament of 19 March 2013 on the proposal for a Council Regulation amending Regulation (EC) No 659/1999 laying down detailed rules for the application of Article 93 of the EC Treaty (COM (2012) 725 final) , page 17. Council Regulation (EU) No 734/2013 of 22 July 20-13 amending Regulation (EC) No 659/1999 laying down detailed rules for the application of Article 93 of the EC Treaty  OJ L204/14. An explanation on why the public financing of sports infrastructure and professional sports clubs only started to attract State aid scrutiny in recent years can be read in: Ben Van Rompuy and Oskar van Maren, “EU Control of State Aid to Professional Sport: Why Now?” In: “The Legacy of Bosman. 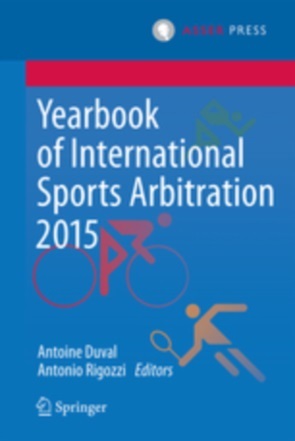 Revisiting the relationship between EU law and sport”, T.M.C. Asser Press, 2016. See, for example Commission decision of 18 December 2013, SA.36387 Spain – Alleged aid in favour of three Valencia football clubs, para 3. The other formal investigations to professional football clubs (i.e. Real Madrid , five Dutch football clubs and four Spanish football clubs ), were also launched after the Commission received information through citizens and/or the press. Or the Commission decides to open an investigation ex officio pursuant to Procedural Regulation 2015/1589, Article 12(1). However, this is very unlikely, given the lack of priority given by the Commission to sport. For example, in the case of the Hungarian tax benefit scheme, clubs or associations not active in the sport sector (e.g. theatre clubs, art clubs, etc. ), could potentially argue that they have been placed in a disadvantageous position, since they cannot receive donations under the scheme. An aid measure provided in the form of advantageous land transactions, such as the Real Madrid case, could directly affect any undertaking interested in purchasing the same land, or any other plot of land against other market conditions. Hester den Boer and Bram Logger, “ Een spits van belastinggeld; Onderzoek – Lokale overheden blijven profvoetbal massaal steunen ”, De Groene Amsterdammer, 18 May 2016, page 5. See for example Oskar van Maren, “EU State Aid Law and Professional Football: A threat or a Blessing?” , European State Aid Law Quarterly, Volume 15 1/2016, pages 31-46. High profile formal State aid investigations into alleged aid granted by means of selective tax agreements between Member State governments and multinationals like Starbucks, Fiat, Amazon or Apple, have launched in the last few years.